I've often said being a fan of Muse is like being a fan of M Night Shyamalan. Their first few efforts were amazing and then their work descended into derivative nonsense. Last year's Split saw a moderate return to form for Shyamalan with audiences and critics able to see elements of the genius that gave us the Sixth Sense (1999) and Unbreakable (2000). Similarly with Muse, in Simulation Theory there are glimpses of the unique creative stylings that went into Origin of Symmetry (2001) and Absolution (2003). The album starts off strongly with the Jean-Michel Jarre influenced Algorithm which lets the retro-electro stylings that permeate the record grow before Matt Bellamy's vocals arrive to take us into the heart of the album. 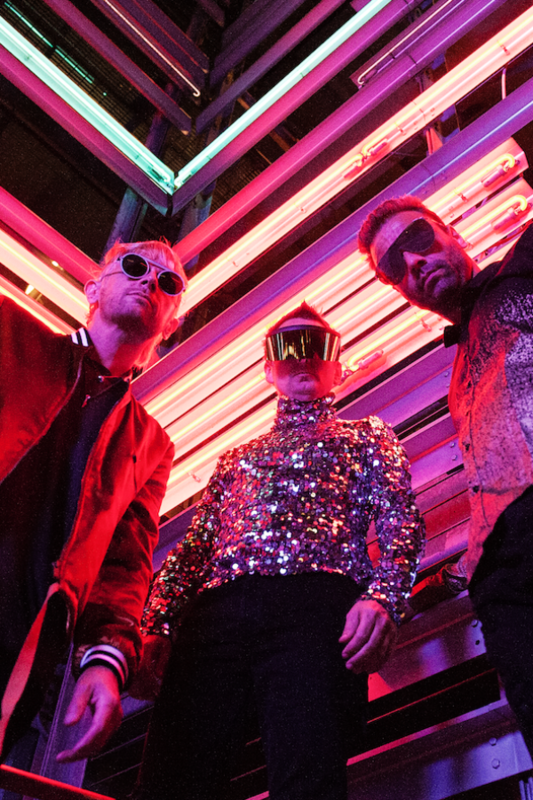 Following this are three single-worthy tracks that show the best of Muse's ability to blend their unique experimental rock style with a more catchy pop-friendly angle. The Dark Side contrasts a sanitised synth-heavy electro-pop styling with the deeper feelings of alienation that the band express so well. Pressure feels like an instant classic, starting with Bellamy's audacious guitar tone alongside a brass marching band. The song goes through periods of metal and electro-pop and therefore the track could have sat well on Absolution, but its more polished and confident production makes it fit here too. Propaganda is the pick of the bunch, showing us the wacky sound of the band with vocoders giving way to acoustic slide guitar and Bellamy doing his best Prince impression. The fifth track is the highlight of the album. A punky atonal guitar riff takes us into an almost operatic arrangement of Middle Eastern melodies and harmonies that would have made Freddie Mercury pay attention. This song encapsulates the band's journey, as you can hear elements from almost every album present in these four minutes. The sparse production of Showbiz (1999), the heavy guitar sound of Origin of Symmetry (2001), the over-the-top vocal harmonies found on Black Holes and Revelations (2007) and the aforementioned operatic Queen-esque sound first heard on the Resistance (2006) all come together fantastically here. Unfortunately, the album takes a bit of a nosedive from this point onwards. Something Human is the exact kind of pretentious self-help pop ballad nonsense that turned a lot of people off Muse over their last few albums. Thought Contagion nearly brings it back, but the eighth track, Get Up and Fight is a bewildering mix of cheezy synth-pop and early 2000s nu metal/emo that should really have stayed in that era. When the rest of the album has an 80s retro styling it already feels hopelessly out of place, but the vacuous lyrics, "Get up and fight, I can't handle this without you, can't do this without you," took me from wondering positively about their thought process for the album, to asking what on Earth they were thinking. 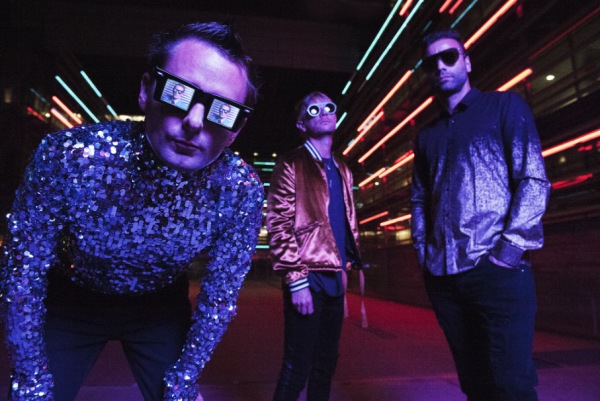 The final three tracks limp on, but are not too memorable and it becomes quite clear that Muse could have done with more time to create a better work, or perhaps should have released an EP to trim off the filler. It can continue, though, if you would like it to, and I would suggest you do. The super deluxe version of the album contains no less than 10 bonus tracks. There are a few 'alternate reality' versions of the album tracks that serve as reimaginings in different styles. It's a nice concept to include given the album's theme of the ambiguity of which reality we're in and the haunting piano rendition of the Dark Side is a nice counterpart to the album version. Other highlights here include a verison of Pressure performed with only a marching band for accompaniment, which somehow works even though it really shouldn't, as well as an acoustic version of Propaganda. There is also a version of Dig Down, one of the record's weaker tracks, performed acoustically with a gospel choir which, in that context, really does work as a song. I wish we lived in the alternate reality where that was the version on the single and performed live. It's a real shame that the album comes undone so quickly. Their problems with the last two records were largely due to a lack of understanding of their own sound. They experimented with other genres a lot in the 2nd Law (2012), but most of the tracks felt disingenuous as those styles were done better by the musicians who had crafted them. Drones (2015) suffered the opposite problem of Muse aping themselves too much and coming up with a watered-down rendition of Origin of Symmetry.